Pat eventually came home to settle in the Kentuckiana area, but returned to California many times to visit friends and drink the great beers brewed there. 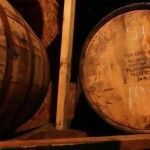 Eager to learn the brewing process, he attended an intensive brewing course at Sieble Institute in Chicago and soon starting to think beyond home brewing. 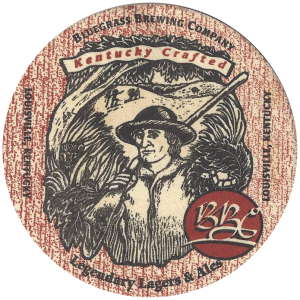 Recognizing the time was right to open a brewpub in Louisville, he convinced his father, Monte Hagan, to partner with him and in November of 1993 they opened the original Bluegrass Brewing Company, located in St. Matthews. 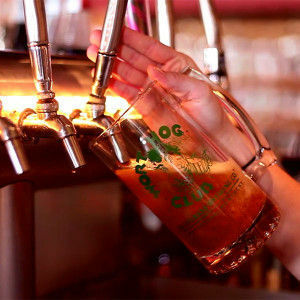 The oldest microbrewery/brewpub in Louisville has become a landmark neighborhood establishment with over 900 members in the Wort Hog Club. 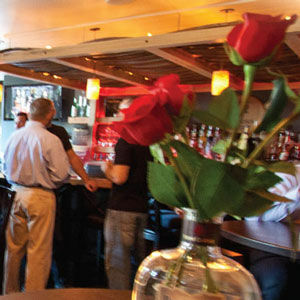 Known as a great place to eat and enjoy exceptional hand-crafted beer with all the great BBC friends and family. 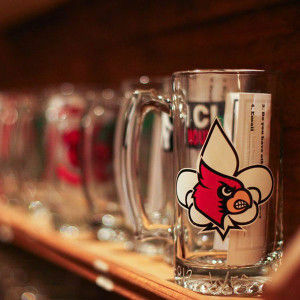 With many Medals and Awards from the Great American Beer Festival as well as other local and nationwide contests, BBC has established itself as the father of the Louisville Craft Beer scene. 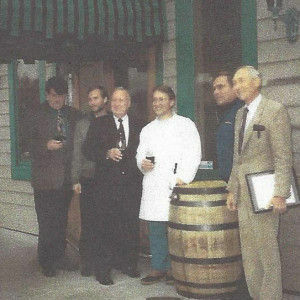 In 2002 they bought the Pipkin Brewing Company and ventured into outside retail keg and bottle sales. 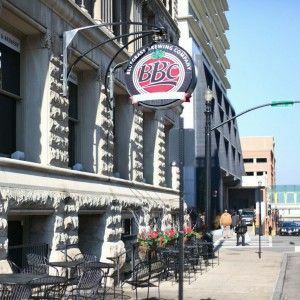 After realizing this was a whole new and different business, the BBC brand was licensed to a group of investors so the focus could return to the brewpub side of the business. 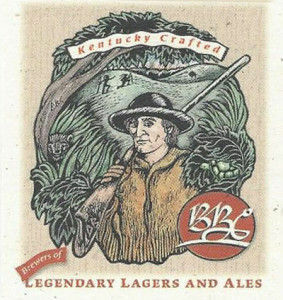 The BBC bottling operation has grown exponentially every year and has helped to establish the BBC name in Kentucky, Indiana , Ohio, Tennessee and Virginia. 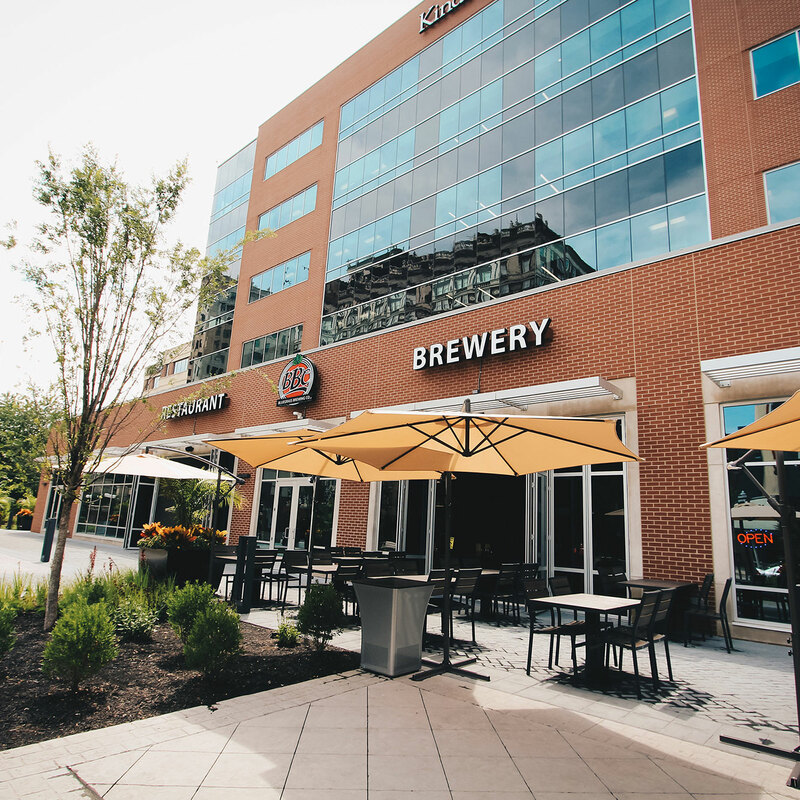 The bottling plant and tap room are located at Clay and Main St. in downtown Louisville. 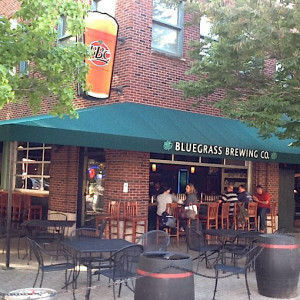 The second Bluegrass Brewing Company brewpub opened at Theatre Square on 4th Street downtown. Conveniently located for convention-goers and out-of-town visitors, BBC at Theatre Square boasts the best alfresco dining in the city with a park-like setting surrounded by flowers and trees. Also located in the Square is the wonderfully eccentric Derby Clock, designed by the famous Louisville sculptor, Barney Bright. Our newest location – opened in 2010 and is situated directly across the street from the new KFC Yum Center Arena. We completely redesigned and renovated the interior first three floors of the circa 1880 building which is listed on the National Historic Register. The lower cellar level with the brewery, stone floors and high top tables and booths has a distinctly European pub atmosphere. The main floor dining area and bar recall the building’s historic past with original marble floors, high ceilings and large windows overlooking Main Street and the Arena. 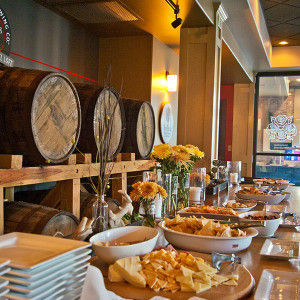 A private party venue available for meetings, parties, receptions, rehearsal dinners or special occasions. 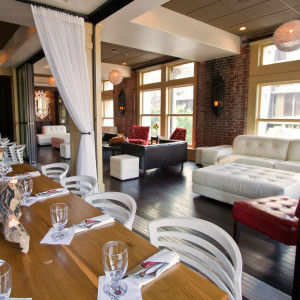 The comfortable sophistication of the Loft has the unique atmosphere of a New York “speakeasy”. In 2014, a different style of restaurant opened; one place where people can try all the best that Louisville has to offer. The Crescent Hill Craft House, Local Beer Local Food, is that place. With 40 taps with the best beers from all the craft beer brewers in the area and local produce and meat, Craft House is fast becoming the place to go on Frankfort Ave.
BBC has evolved over the years but I believe we have been successful because we have always remained true to our original mission: “To create bold, unique, hand-crafted beers, quality affordable food, and serve them both in a warm and comfortable, family friendly atmosphere.” We believe in using local products as much as possible and support our community by hosting many fundraising events. We are very proud of our beers which have won many local and national awards and are recognized across the country for the “hoppy” flavor that I came to know and love. 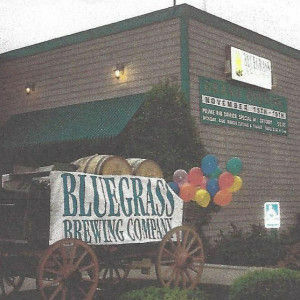 We’ve come a long way since 1993 and there is no telling which way the future winds will blow the hop seeds of Bluegrass Brewing Company but one thing is for certain – BBC will remain true to our hometown, family-friendly identity and our mission to maintain our high BBC standards of quality and service. I appreciate your support of BBC and look forward to sharing a pint with you.